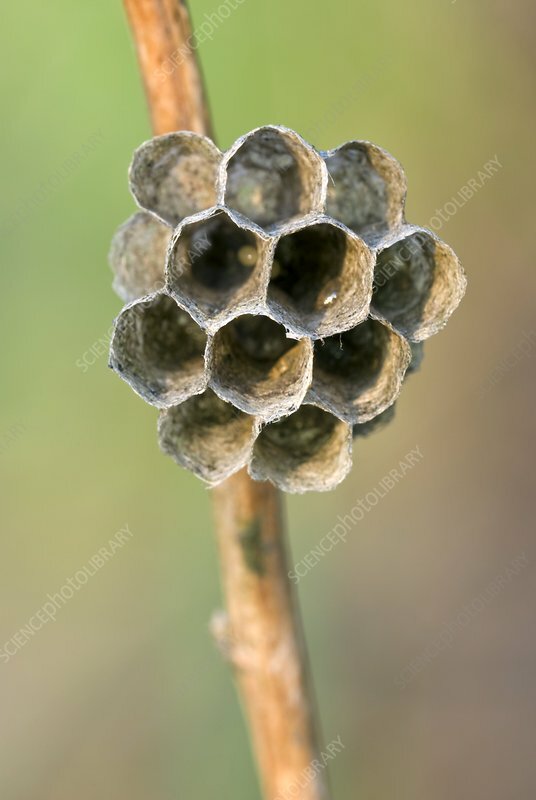 Paper wasp's (Polistes bischoffi) nest. Paper wasps gather fibres from dead wood and plant stems, which they mix with saliva to produce a papery material that they use to construct water-resistant nests. Photographed in Poland.